Happy Friday and we're celebrating by highlighting a sneaker that not only looks great, but will be comfortable while you're working out. 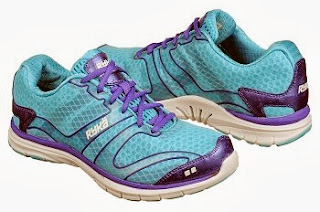 This weekend, if you're planning on getting in some good cardio workouts, the RYKA Dynamic Sneakers are what you need. Whether you're training on or off the Treadmill, these sneakers will push you to reach your goals. Featuring a synthetic and mesh upper with a wide round toe box for happy, uncramped toes, lace-up front, padded tongue and collar, X-Ray frame with mono screen that allows for airflow, cushioning Precise-Return(TM) insole, N-Gage EVA midsole and a high abrasion Exo-Shell outsole with heel and forefoot flex grooves, the Dynamic Sneakers provides the right amount of structure and cushioning you need. And the best part, they're only $75.00. Get them and many other styles on www.ryka.com. Learn more about Ryka via their Facebook Page.